This could be one of the best alternate approach to keep your heart in a good condition. 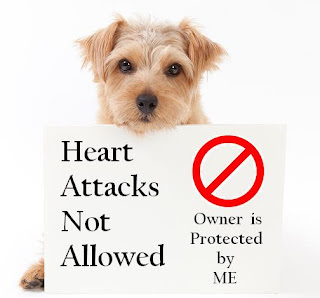 The American Heart Association in a journal on May 9 has revealed a study that owning a pet could significantly reduce the risk of getting a heart attack. The study conducted by a group of experts led by Dr. Glenn Levine, professor at Baylor College of Medicine has found that people who have a dog or a cat have less chances of getting a heart disease. This data collected from about 5200 people clearly show that people who have dogs are physically very active compared to people who do not have a pet. The risk is reduced because they take their pet for a walk, wash them and care them, all the things that increase physical activity which is good for heart. Owning a pet can also reduce the mental stress, depressions and other anxiety related issues. However Dr. Levine said, more studies are needed in this matter and said just buying a pet will not cut heart attack risk, it is an issue of giving the pet a home, love and care. American Pet Product Association 2011-2012 National Pet Owners Survey figures show 86.4 million people in United States own a cat and 78.2 have a dog.